All 3 of my children took after me with a love of all things bath related. 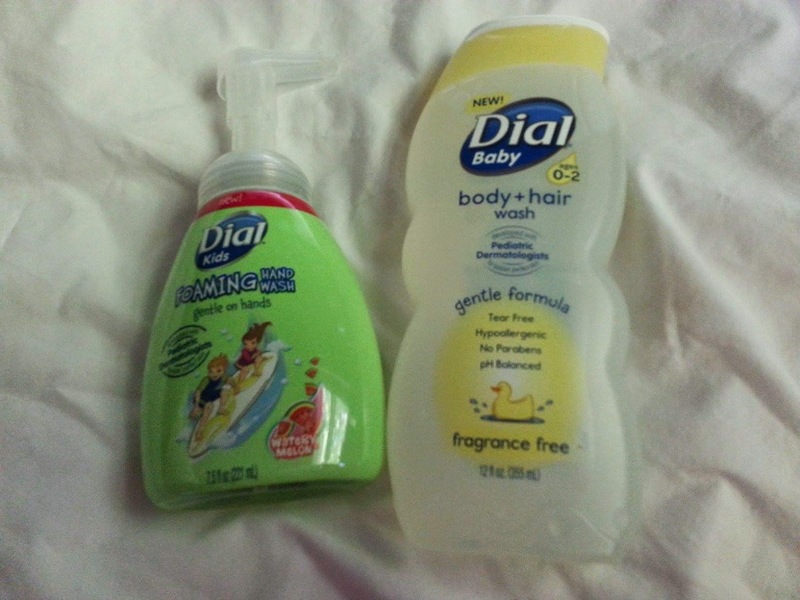 I love the fact that Dial has line of products that are name from newborn to adult that are so easy to kind and affordable. Both of these are extra gentle and fun at the same time. 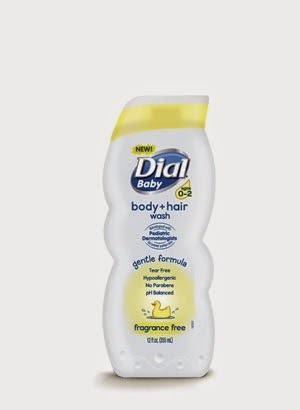 The Dial Baby Body + Hair Wash was made with a babies' sensitive skin in mind. It is a gentle formal that was developed with the help of pediatric dermatologists for babies' perfect skin. It is tear free, hypoallergenic, pH balanced and contains no parabens. 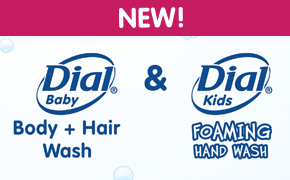 The Dial Kids Foaming Hand Wash puts a fun twist on handwashing with the scent of watery melon. It is a gentle formal that was developed with the help of pediatric dermatologists for kids' perfect skin. 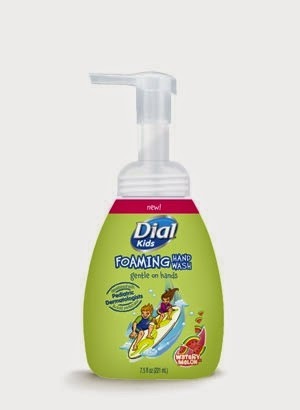 It is a fum foaming handwash in an eye catching bottle. It is a fun way to make sure kids was their hands. Be sure to checkout the full line of Dial products to find the perfect product for you. with no parabens or artificial dyes, for babies’ perfect skin. 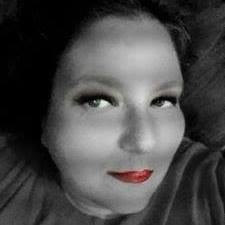 Gently removes environmental dirt for a head to toe clean! Water, Sodium Laureth Sulfate, Cocamidopropyl Betaine, Glycerin, Polyquaternium-7, Peg-120 Methyl Glucose Dioleate, Peg-7 Glyceryl Cocoate, Peg-200 Hydrogenated Glyceryl Palmate, Polysorbate 20, Tetrasodium Edta, Sodium Benzoate, Methylisothiazolinone, Citric Acid, Sodium Chloride. Makes hand washing fun for all ages! 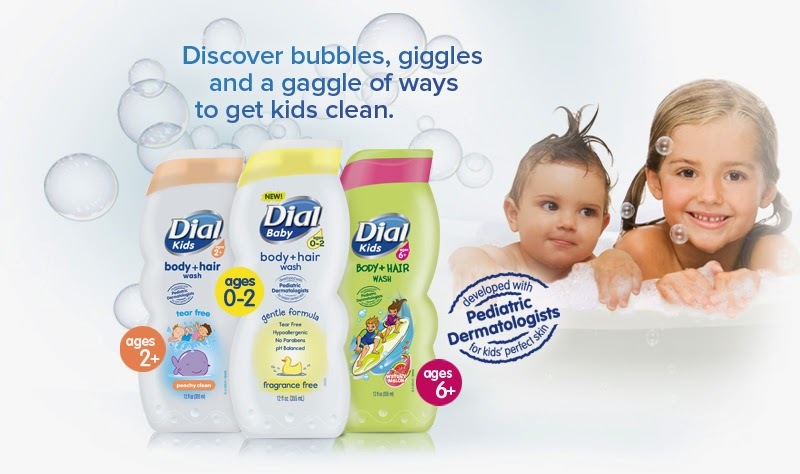 Hypoallergenic, no artificial dyes, no parabens, pH balanced and gentle on kids’ skin!